Would you like to see animals in Sri Lanka? From elephants to leopards and lots of endemic birds and other animal species, Sri Lanka is a great wildlife destination. 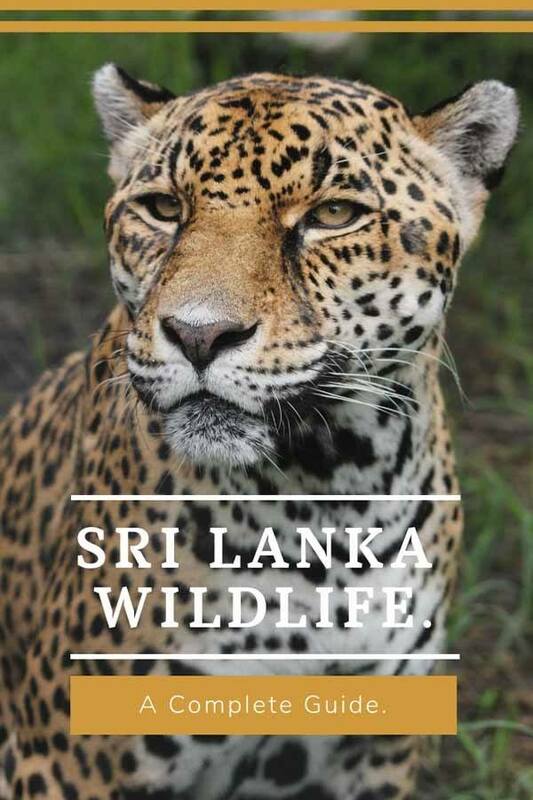 Learn all about Sri Lanka animals here, including where to find them! One of the biggest surprises of our recent trip to Sri Lanka were animals. This small island country just off the coast of Southern India is truly a haven for wildlife lovers, with opportunities to see animals all over the country, thanks to a network of great national parks. What the island lacks in size, it makes up for in diversity, with habitats ranging from hills to rainforests and marine sanctuaries along the coast. The island’s isolation and double monsoon season are the reason behind Sri Lanka’s biodiversity – as a result, Sri Lanka is one of the best places in the world to spot leopards, elephants, and blue whales, commonly seen just off the southern coast. On top of that, conservation is Sri Lanka is not a recent endeavour – the first protected natural areas have been created over 2000 years ago by the royal family. The oldest protected sanctuary in the island, Mihintale, was established as early as the 3rd century BC. Hundreds more sanctuaries, national parks and protected reserves were opened over the last two centuries – nowadays, there are over 500 protected areas in Sri Lanka, including two UNESCO-biosphere areas, making up 26.5 per cent of the country. During our recent two-week trip around Sri Lanka we had some wonderful wildlife encounters. 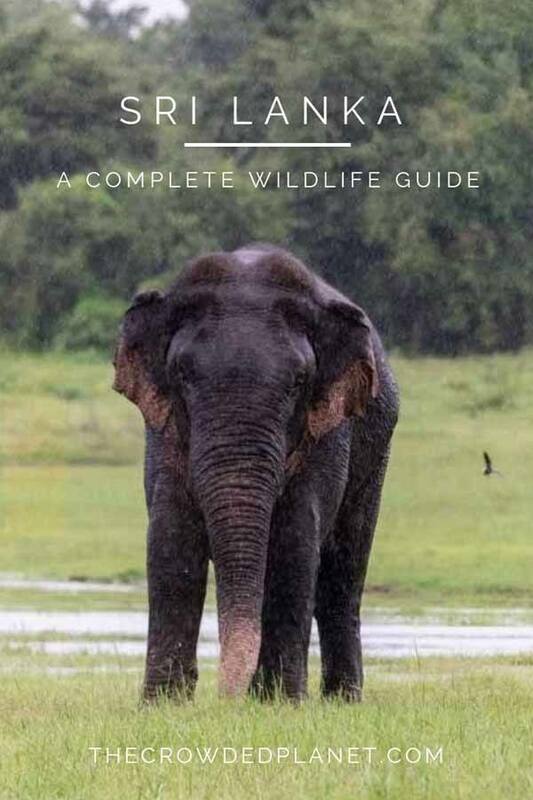 Here’s a brief overview of Sri Lanka’s main animal species, the best places to see animals in Sri Lanka, and some practical tips to make the most of your Sri Lanka animal holiday. Sri Lankan leopards are a subspecies with distinct characteristics, including smaller rosettes on the coat and a larger size compared to Indian leopards, due to the fact that they’re apex predators since there are no other big cats on the island. The wild leopard population is Sri Lanka is currently estimated to be between 700 and 900 individuals. Leopards are naturally elusive creatures, living a solitary life. Sri Lanka is one of the best places in the world for leopard safaris – in Block 1 of Yala National Park, there’s about a 50% chance to spot leopards during a safari. Yet, be warned that overcrowding in Yala is a real concern, so consider visiting off season and always choose responsible operators! Sri Lanka has the greatest elephant density anywhere in Asia, and you’re pretty much guaranteed to spot some on a safari – Minneriya National Park is highly recommended, with gatherings of fifty or more individuals taking place each afternoon. 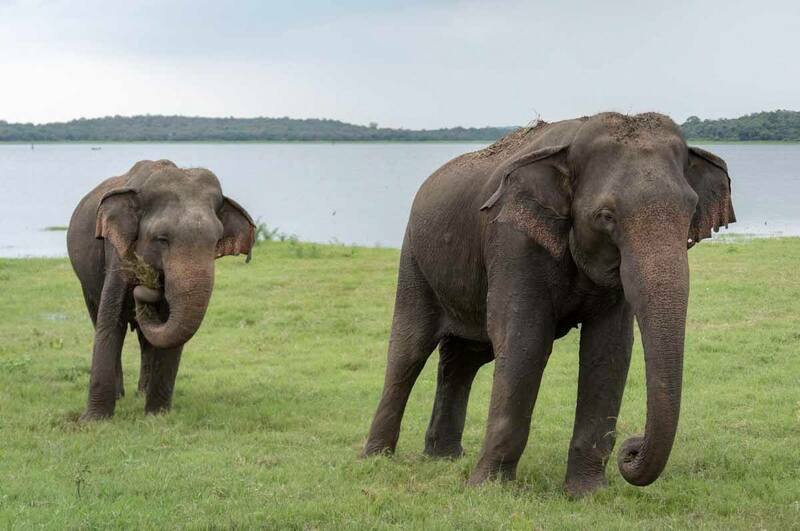 Sri Lankan elephants are the largest subspecies of Asian elephant, with a darker colour and more distinct depigmentation on the ears, face and trunk compared to other Asian subspecies. On top of that, only 7% of male elephants have tusks. 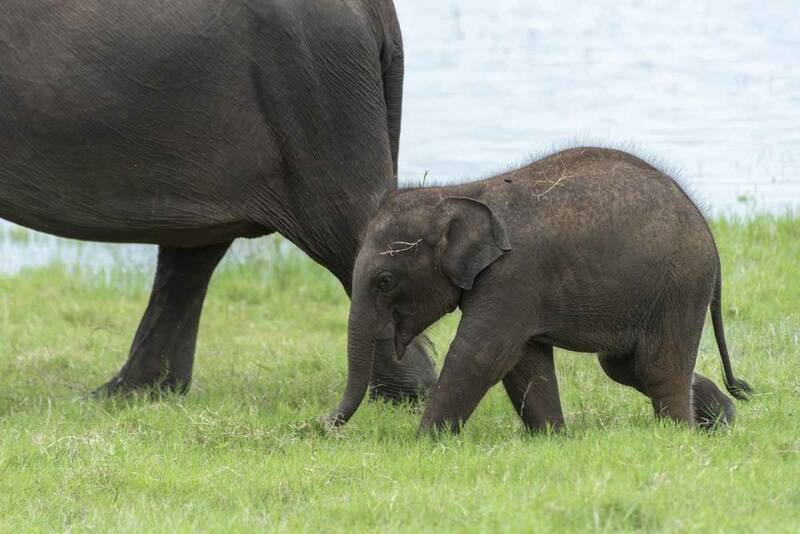 Elephant population in Sri Lanka is currently declining, mainly due to habitat loss. On top of that, elephants are still domesticated and trained to carry tourists and perform circus tricks. We highly recommend avoiding to ride elephants – it’s a cruel practice that inflicts them incredible pain and suffering. Sri Lanka is home to approximately 400 bird species, including 33 endemic ones. 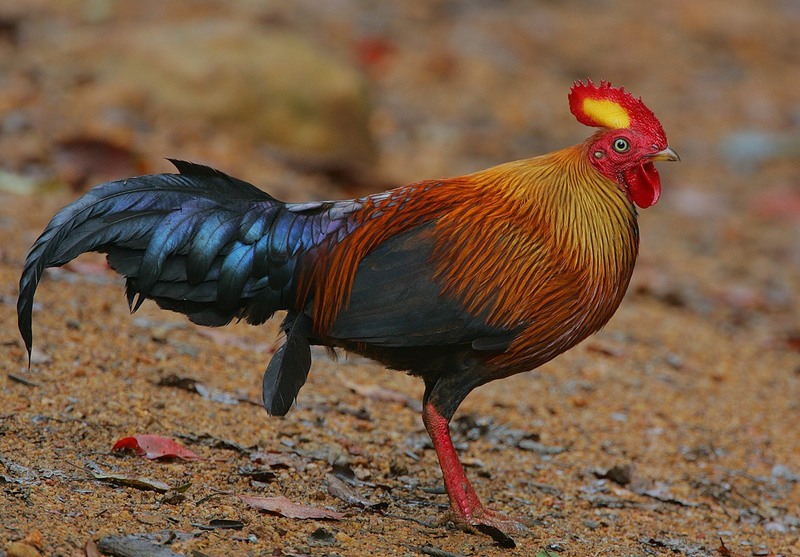 The most iconic endemic bird is the Sri Lankan junglefowl, the national bird of Sri Lanka, kind of looking like a cockerel with more vivid colours and a yellow head. Other endemic species include the grey hornbill, one of the few hornbill species without the top part of the beak, and the crimson-fronted barbets with vivid green plumage and a red head. During a single afternoon safari in Lunugamvehera National Park, we spotted a white billed fish eagle, a serpent eagle, three kingfisher species including a magpie kingfisher, two species of bee eater (blue tailed and green), a spoonbill, a hornbill, and a painted stork – and these are just the birds we could name, there were many others we didn’t know the name of. 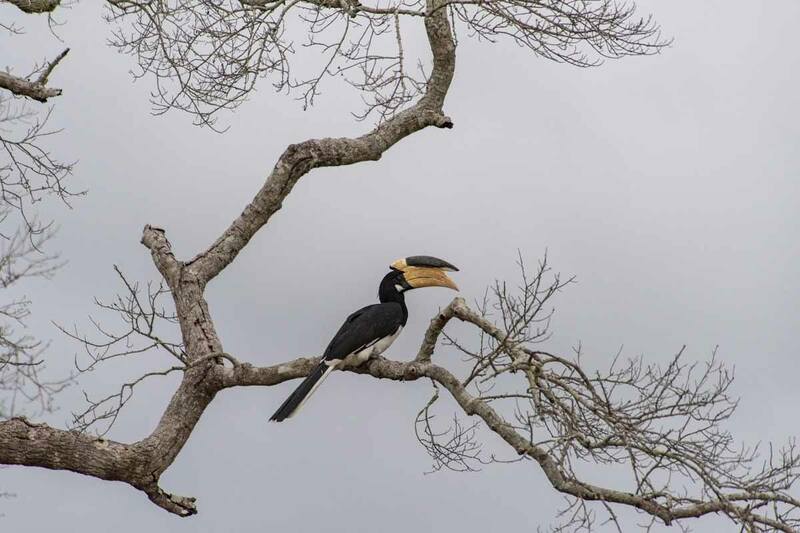 Best Places for Birdwatching in Sri Lanka – Kumana National Park, Bundala National Park, Sinharaja Rain Forest and most other national parks in Sri Lanka, including Yala and Lunugamvehera. Despite being birds, peacocks are worth a mention of their own – these spectacular birds are native of India and Sri Lanka, where they’ve been a symbol of royalty for many centuries. Peacocks are known for their colourful display, which is usually done to impress females. 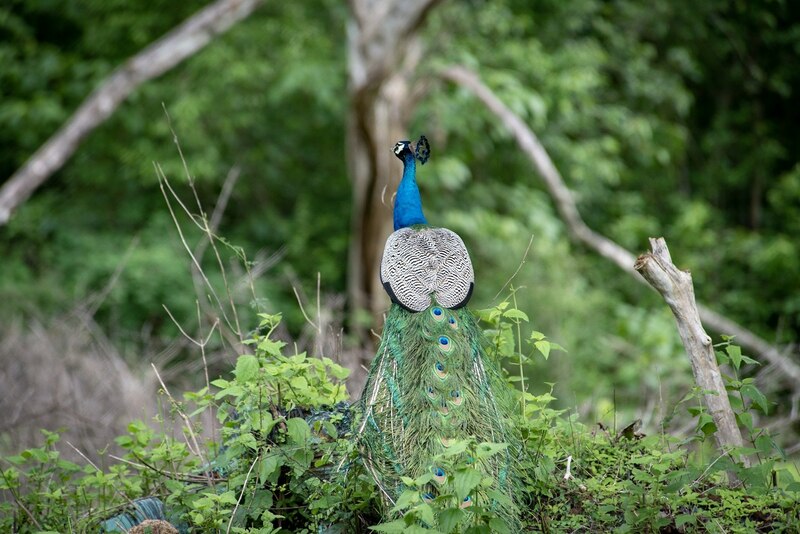 It’s easy to spot peacocks in Sri Lanka around most National parks – they can also sometimes be seen in the cities, roaming hotel grounds, or even just gingerly walking across the road in country villages, or flying up to the trees to roost at sunset time. Water buffalo in Sri Lanka are both wild and domesticated. Domestic water buffalo are seen throughout the country, and they’re farmed mostly for their milk which is used to produce delicious dairy products. Wild buffalos are harder to spot but can sometimes be seen bathing in water pools to escape the heat of the day! 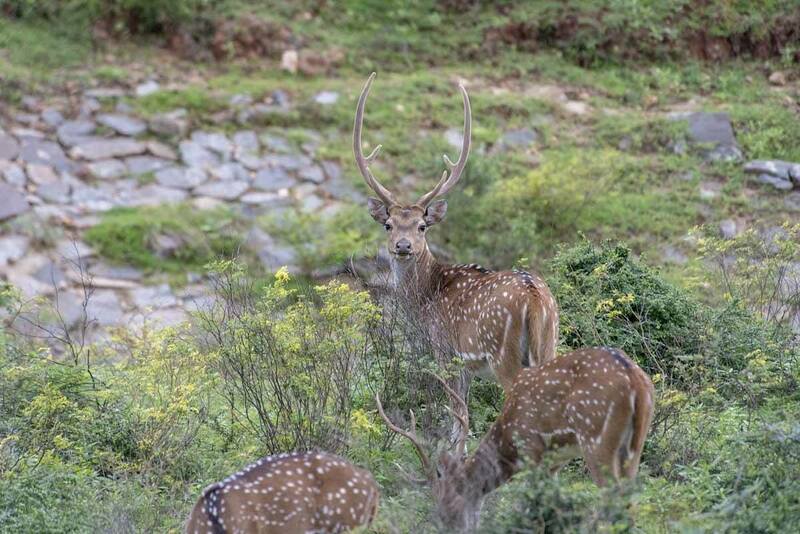 Spotted deer are the most common of the three deer species that inhabit Sri Lanka, and large herds are easily seen roaming around most Sri Lankan national parks. They are smaller than European deer and have a characteristic spotted coat, with males sport large sets of antlers. These are definitely one of Sri Lanka’s most unique animal species! Sri Lanka is home to five primate species, including three endemic ones – the toque macaque, famous for its peculiar ‘hairstyle’, the purple faced langur, and red slender loris. Grey langurs are also common in the country. Monkeys in Sri Lanka are a fairly common sight, both in natural areas and near temples, where they often roam in search of food. 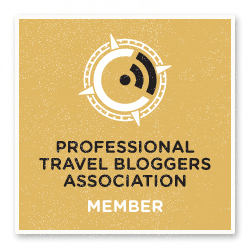 Before visiting Sri Lanka, I was completely unaware that the island is one of the prime destinations in the world for whale watching. Out of 86 whale species worldwide, 26 of them have been known to visit Sri Lanka – some visit seasonally, whereas others can be spotted pretty much year round. The main reason for a whale watching cruise in Sri Lanka is trying to spot blue whales, the largest living animal on the planet. Blue whales can easily be spotted in Mirissa on the southern coast from November to April, and Trincomalee in the east from June to September. Mirissa is a very popular whale watching spot due to the high chance to spot blue whales, and some of the boats we encountered were really crowded – we recommend going with a reputable operator like Nature Trails, the ecotourism branch of Cinnamon Hotels. Also, please bear in mind that outside of peak season, boats may need to travel for two or three hours each way to reach whale watching locations, so plan accordingly if you suffer from sea sickness! 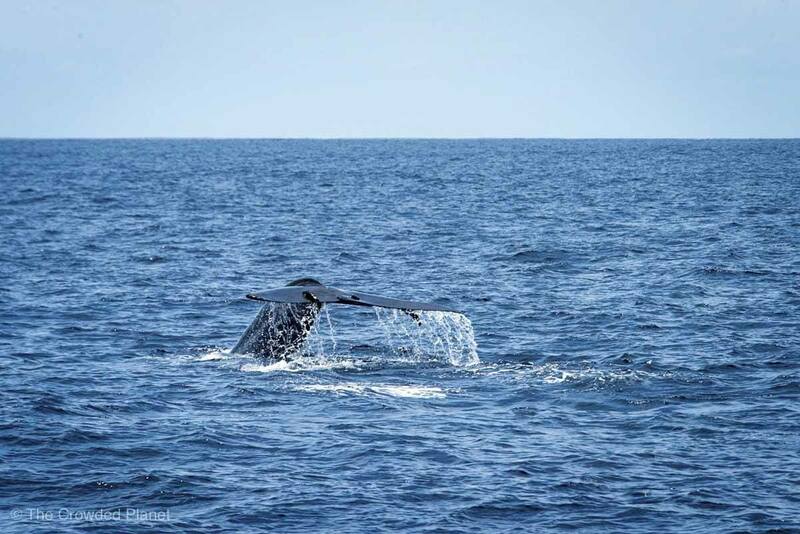 Besides blue whales, other whale species frequently seen in Sri Lanka include Bryde’s whales – stunning animals we had already seen in Plettenberg Bay, South Africa – sperm whales, fin whales and even killer whales. On top of that, on a Sri Lanka whale watching tour you’ll also have the chance to spot marine turtles, dolphins and pilot whales. 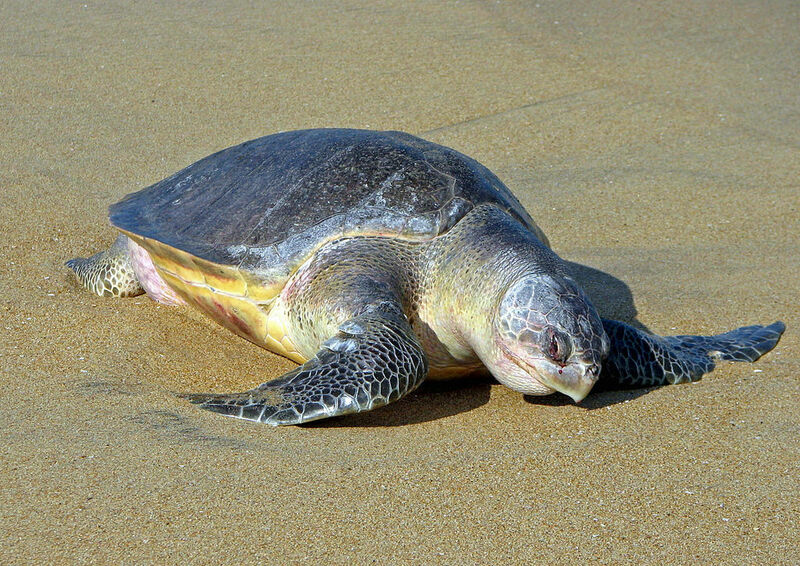 There are at least five turtle species often seen on Sri Lankan beaches and in the ocean – green, leatherback, olive ridley, hawksbill, and loggerhead turtle. Turtles can easily be seen while swimming and snorkelling in many locations around the southern coast of Sri Lanka, or even just wandering on beaches – for instance, if you’re staying at the Hikka Tranz Cinnamon hotel near Galle, you’ll be able to see green turtles on the beach in the morning and late afternoon. Along the southern coast of Sri Lanka it’s also possible to visit turtle hatcheries – Kosgoda is often praised for their conservation efforts. In Sri Lanka there are two crocodile species – the marsh (also known as mugger) crocodile, and the saltwater crocodile. The former is often seen basking in the sunshine on the edge of rivers and lakes, whereas the latter inhabits the coastal areas, especially in the western part of the country. Marsh crocodiles rarely attack humans, but there have been instances of attacks of saltwater crocodiles on surfers near Arugam Bay, in the southeastern part of the country – don’t forget to always exercise caution in shallow lagoons. Yala is the best-known national park in Sri Lanka, and definitely a not-to-be-missed attraction for those that want to see animals in Sri Lanka. This park is in the south eastern part of the country, a short distance away from the coast – the landscape is very diverse, including rivers, reservoirs and forest in addition to scrubland and marine. 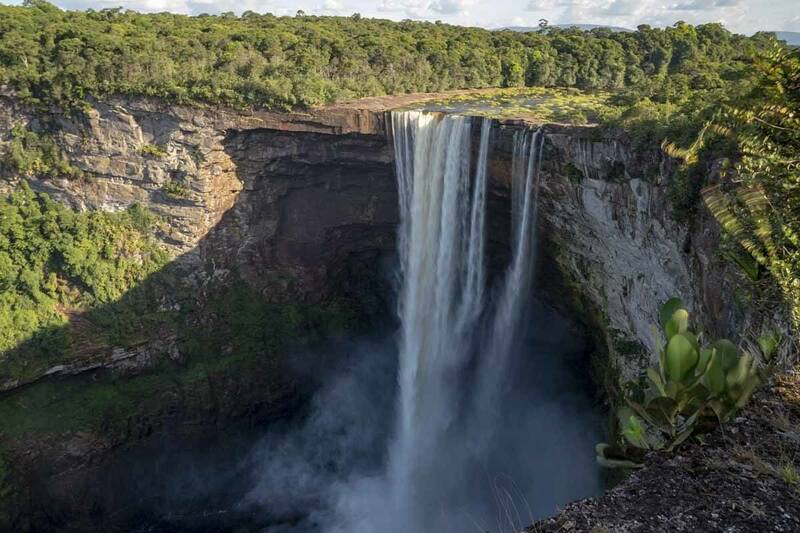 As a result, it’s possible to see an incredible variety of wildlife, including deer, wild pigs, water buffaloes, primates, birds, sloth bears, and naturally leopards, with over 30 individuals inhabiting the national park. 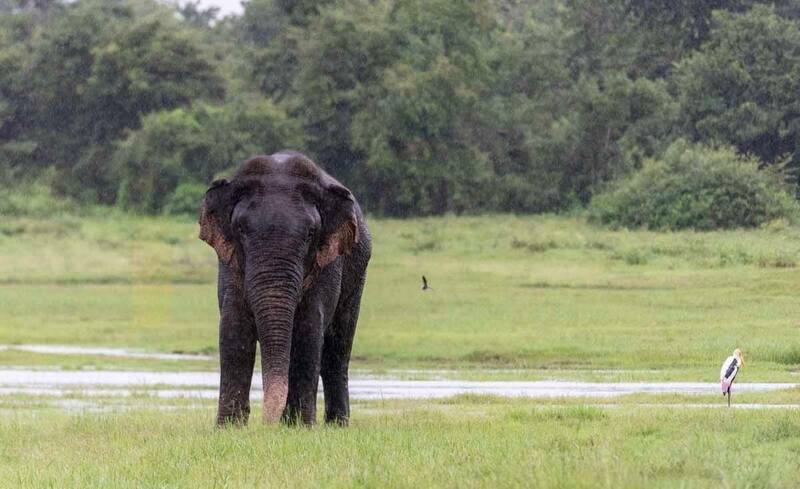 Yala closes every September/October for maintenance and to give wildlife a break, so if you happen to be visiting during that time, the best alternative to the well-known park is nearby Lunugamvehera, also known locally as Yala Block 5, even though technically it is a separate park. 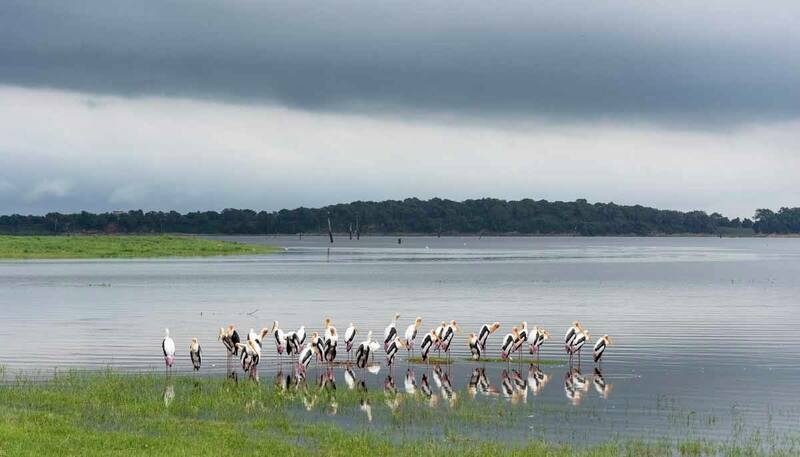 This national park was established both to protect the wildlife around the Lunugamvehera Reservoir, an excellent birdwatching location, and to serve as a corridor for elephants to migrate between Yala and Udawalawe National Parks. 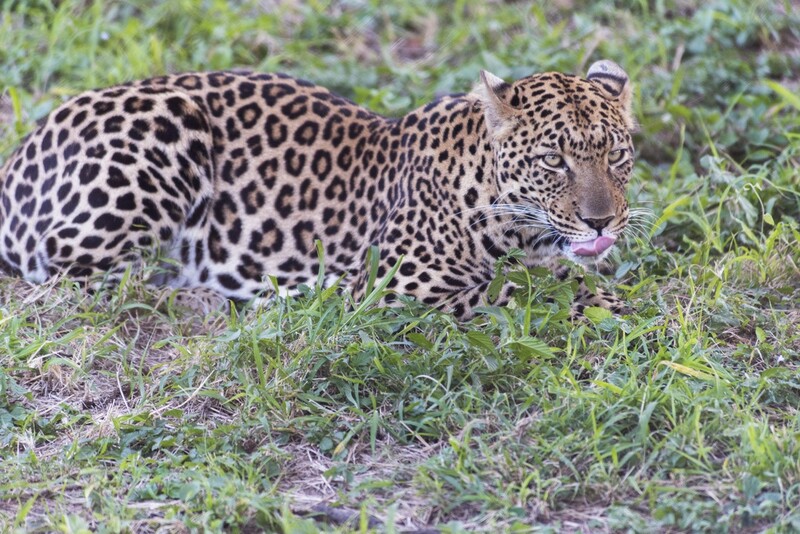 Considering it’s so close to Yala, at Lunugamvehera you’ll have the chance to see similar animal species – however, it’s much harder to see leopards, since there are fewer and they’re less used to humans. Lunugamvehera is also a great alternative if you are worried about overcrowding, a known issue at Yala. Another great place to escape Yala’s overcrowding is Gal Oya, a national park located in the east of the island country. Gal Oya is well known for its elephant population and for the opportunity to go on boat safaris on Sri Lanka’s largest man made lake. 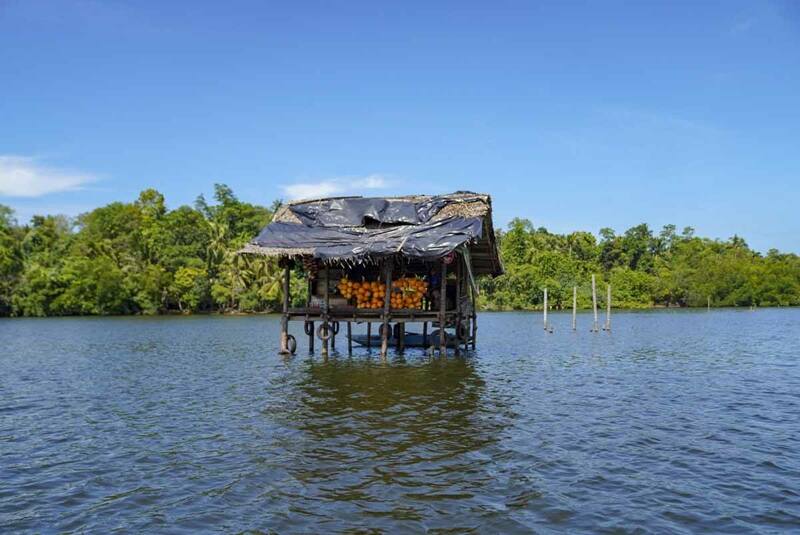 For those interested in cultural encounters, at Gal Oya it is also possible to go walking with the Vedda people, one of Sri Lanka’s indigenous groups and probably the earliest inhabitants of the island. Unlike all national parks mentioned so far, presenting a mix of freshwater and dry scrubland, Sinharaja is almost entirely primary rainforest. This is the place to go for birdwatching, and to see trees and plants that cannot be found anywhere else in the world – 60% of trees at Sinharaja are endemic. These two national parks are located a short distance away from Sigiriya, in central Sri Lanka. Minneriya and Kaudulla are very known for their large ‘elephant gathering’ happening mostly in August/September, when large herds of elephants congregate in the grasslands and near the riverbank of the two parks, and it is possible to see hundreds of elephants at once. There are so many animals in Sri Lanka, that there are opportunities to spot wildlife pretty much anywhere – not just in national parks and nature reserves. During our time in Sri Lanka we went on a boat safari along the Madu Ganga river near the southern coast of the country, where we had the chance to visit an island where cinnamon is grown and processed, which was kind of fitting since we stayed in Cinnamon Hotels the entire time we were in Sri Lanka! Besides cinnamon, during our trip along the Madu Ganga river we saw lots of birds, including colourful kingfishers, as well as large monitor lizards swimming and walking on the river bank. What is the best time to see wildlife in Sri Lanka? Remember what I said at the start of this post? There are two monsoons in Sri Lanka, and generally speaking the country is quite wet and humid. The only time to avoid would be June/July, when the southwest monsoon is at its strongest. Yala is great between March and May, when water levels are low. From May onwards, palu trees are in bloom around Yala, and they are a favourite food of sloth bears – another cool Sri Lanka animal. August/October is a great time for the elephant gathering in Minneriya and Kaudulla, January/April is a great time for birds and it’s also when Sinharaja is at its most accessible, whereas the best time for whale watching is October/April, peaking in March. See – there’s not really a ‘best’ time to see animals in Sri Lanka, you can see them at any time! Are there tigers in Sri Lanka? No, there are no tigers in Sri Lanka. Leopards are the apex predators on the island – which may explains why it’s easier to see leopards in Sri Lanka than on a South African safari, for example. What is the best way to organise a Sri Lanka animal safari? First of all, choose where to go. With so many national parks around Sri Lanka, chances are there will be a park close to where you are at any time. After deciding what parks to visit, you can pre-book your safari, contacting Cinnamon Nature Trails or any hotel where you are staying. Remember you cannot take your vehicle into the park – safaris in Sri Lanka usually take place on open jeeps seating 6/8 people, or by boat in places like Gal Oya and the Madu Ganga river. However, booking in advance is not essential. 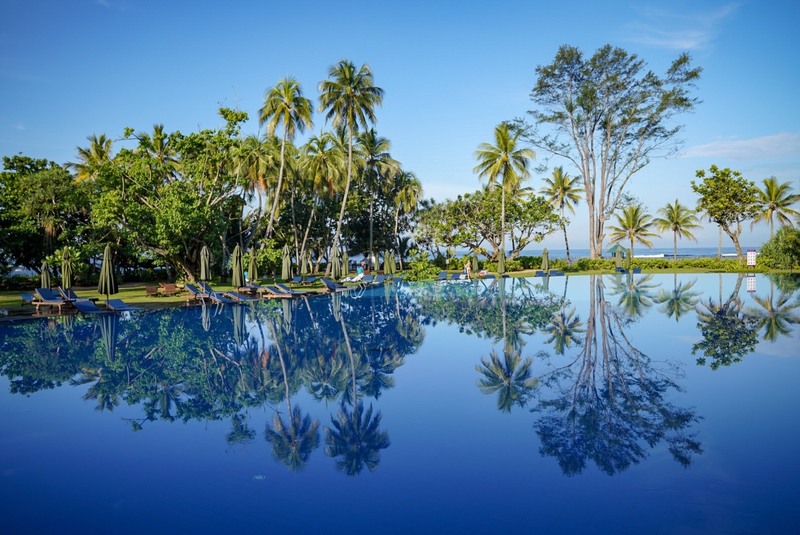 If you’re not sure, you can also book a safari once in Sri Lanka – there are usually lots of drivers and jeeps hanging around hotels near natural points of interest, who will surely offer their services. Alternatively, you can book safaris directly at the national park entrance, which is where you’ll get the best prices! 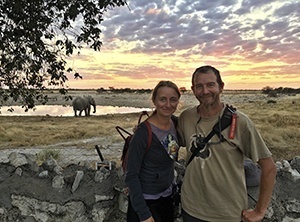 Prices range between $60/$70 per person for a full day safari, depending on a variety of factors including time of year, what national park, and how full your jeep is.